He was born in Basel, Switzerland. Growing up near the borders of Germany and France, he learned four languages and played badminton and basketball. 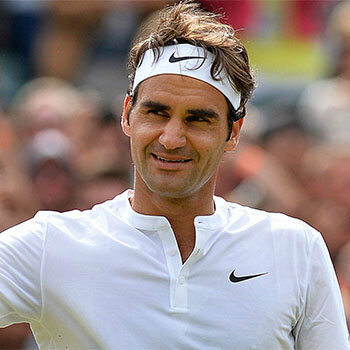 He was ranked #1 in the Association of Tennis Professionals for 237 weeks in a row from 2004 to 2008. He also set an amazing record beginning in 2004, by competing in the semi-finals of 23 consecutive major tournaments. He married former Women's Tennis Association player Mirka Vavrinec in 2009, and together they had twin daughters named Charlene and Myla and two sons named Lenny and Leo. He won the Olympic gold medal in doubles with his compatriot Stan Wawrinka at the 2008 Summer Olympic Games and the Olympic silver medal in singles at the 2012 Summer Olympic Games. World record swimmer from spain. She swimming style is medley,freestyle and butterfly. she has won numerous championship and world series. she belongs to spanish nationality. Talented and sedulous, Lizette Salas is a professional golfer from United States. These days, she is playing on the LPGA Tour. She made her professional debut in June 2011. Jett Eaton is an well known skateboarder from a young age and he has also gained television exposure on shows such as Disney's Getcha Head in the Game.